The goal for athletes everywhere is to promote maximum training responses and the most rapid recovery and growth. Due to athletes intense physical effort, they require superior nutrition. 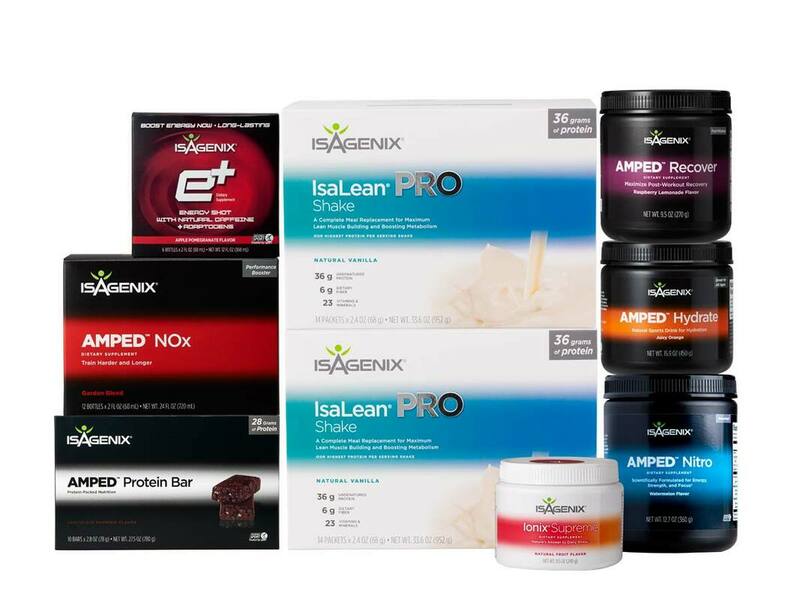 The science team at Isagenix International studies the rapid advances in sports science daily, enabling us to continuously develop breakthrough products that are at the forefront of the sports nutrition industry. They carefully obtain and formulate superior nutrients in a broad-spectrum, synergistic blend that covers every facet of athletic performance. 1. Nutrition: Years of research clearly demonstrate that the Paleolithic approach to nutrition yields optimum results for athletic performance. Athletes also understand the importance of the right protein to build optimum structure and that specific nutrition strategies are required to attain maximum lean mass coupled with minimum fat mass. In addition, the brain provides the primary neural component that controls how muscles and the entire body perform. The athlete whose brains responds fastest prevails. 2. Exercise and Training: Coaches know that athletes must train for muscle quality (power per pound of muscle) rather than for muscle mass. All recovery and growth of muscle occurs during rest and sleep. For optimum progress, athletes must get sufficient sound sleep. 3. Cleansing: Athletes absorb more environmental toxins than sedentary folk because they breathe up to 12 times more air. As a result, athletes have an extreme need of cleansing the body of toxins in order for the body to function at it's optimal level. Trainers and athletes at the highest levels of athletics use and trust Isagenix nutrition to take their game to the next level. The whey protein used in all the Isagenix products is undenatured whey sourced from grass-fed "Cheerful Certified" New Zealand cows. The IsaLean Pro is also NSF certified for professional athletes. Start off right and Maximize your results by choosing the starter solution that aligns with your budget and your performance goals! Perfect for the person on the go! IsaLean shakes are the baseline product of each pak no matter what your goals are. Curb cravings and build lean muscle by feeding your body the nutrients it needs. The Isalean shake is a quick and easy, high quality, undenatured whey protein, meal-shake that keeps you full, satisﬁed and on track with your goals. Nutritionally balanced so you don't have to plan out every meal. 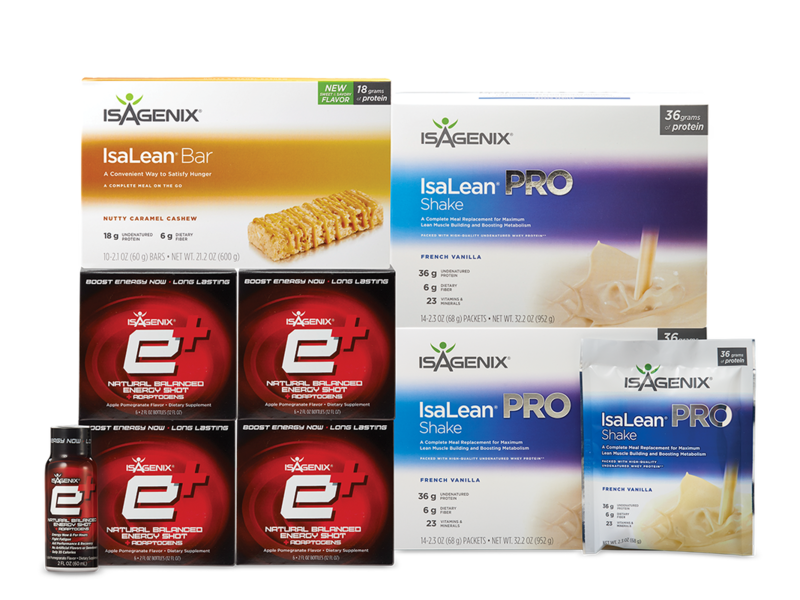 Simply replace 1-2 of your meals a day with Isagenix IsaLean shakes by selecting from one of these amazing custom paks and reach your goals FAST! Hot Damn! This pak has it all! 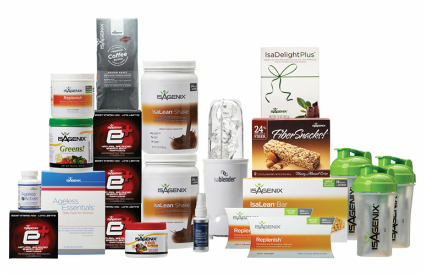 You'll have enough products to get started and keep you going for months. You may be wondering, "do people really by this pak?" The answer is YES. 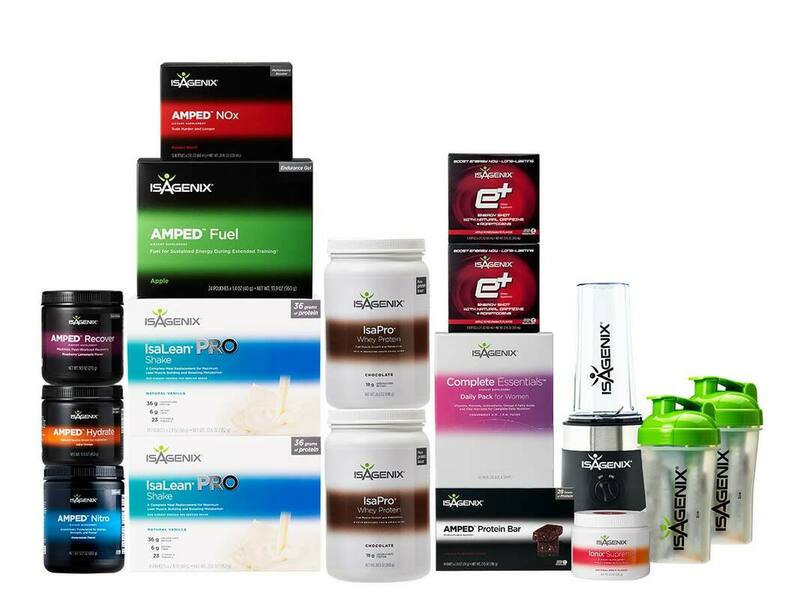 This is a great pak if you want to use or sample all the most commonly used nutritional products within Isagenix for the best value. This is great pak option for 2 people starting starting out together! Recommended for athletes serious about MAXIMIZING fitness, building lean muscle, enhanced performance and reduced recovery times. This pak contains all the products necessary to take your athleticism to the next level. Ionix Supreme to help reduce stress from exercise, Isalean (24g) and ﻿Isalean ﻿Pro (36g) shakes, 2 boxes of Isalean protein bars (18g), Ageless Essentials w/ Product B for optimal health, Joint support, sleep support, E+ energy shots for the ultimate fuel and energy, and Replenish which is loaded with a range of B vitamins and electrolytes to keep you energized through the day or through a long vigorous workouts. This pak is perfect for anyone who wants to energize their daily life. Whether it’s an intense workout in the gym or a day spent with the kids, this pak offers products to help you feel vibrant and alert. Includes a free, one-year membership. Start living the life you crave with the Shake & Shot Pak™. This revved-up pak is perfect for maximizing your energy and performance goals. Boost energy, fuel lean muscle mass, and support optimal nutrition. Isagenix Greens!™ contains a superior combination of quality, nutrient-rich plants in one convenient scoop, so you can complement the recommended 3-5 servings of vegetables every day. 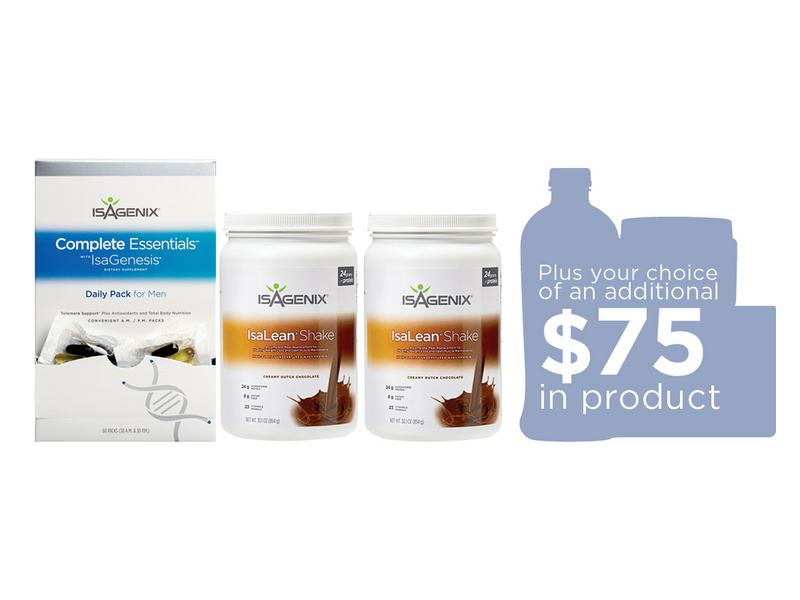 Fast and convenient, Isagenix Greens! also contain antioxidants, rice fiber and prebiotics to support healthy digestion. High quality fish oil, sourced from small fish in deep, unpolluted waters and then distilled to produce the most concentrated sources of DHA and EPA omega-3 essential fatty acids. Each batch is thoroughly tested for heavy metals (arsenic, lead, mercury, cadmium and iron), PCBs and dioxins. Why my SS#? Because a wholesale pricing account is no different from a opportunity/business account, Isagenix is required to verify the identity of each and every account holder. This is for your protection as well as for the protection of Isagenix, so that users and bots are unable to create fraudulent accounts for income advantages. A SS# is also required up front for tax purposes for those who do earn rebates or regular income from the Isagenix opportunity.